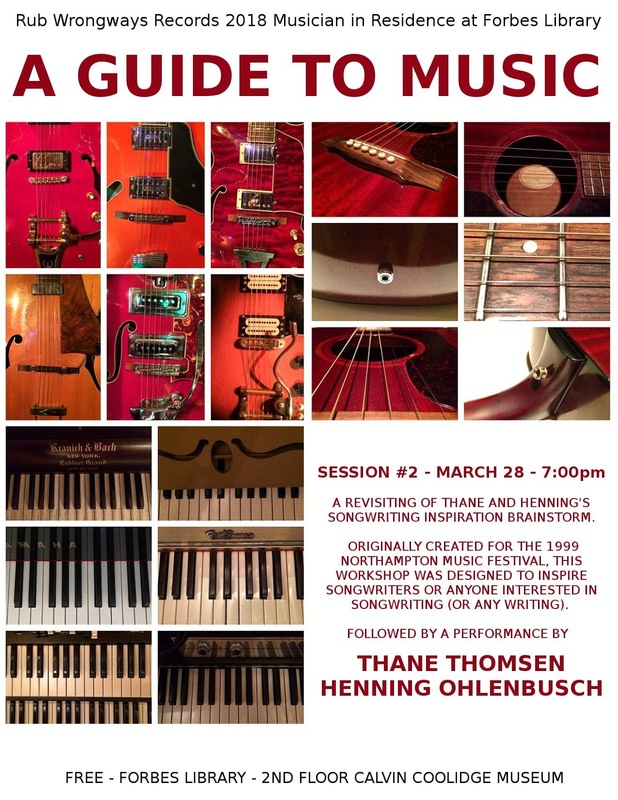 In 1999, Thane Thomsen and Henning Ohlenbusch hosted a songwriting inspiration workshop for the Northampton Music Festival. It was at the Baystate Hotel. Demand for another was SO STRONG that 19 years later they are now presenting part 2 (the same thing again). Come on out and let's figure out how to figure out what to write about. 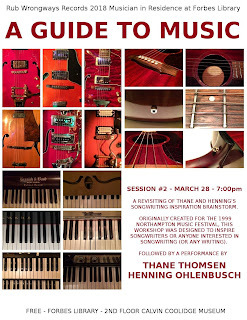 After the brainstorming session, both Thane and Henning will play and maybe discuss 2 or 3 songs. What an adorable evening.